Whitman’s varsity athletic department has a huge variety of supporters and spectators, so it’s always quite noticeable when a varsity team gets new uniforms. Each team is unique in there style of play, technique, equipment and space — meaning that varsity team uniforms really vary. Some teams utilize the same uniforms year in and year out, while others have to get new uniforms just about every year or every other year. Indoor sports like men’s and women’s basketball and women’s volleyball will reuse a set of uniforms for a few years. On the other hand, outdoor sports like men’s and women’s soccer, swimming, tennis, cross country, golf, women’s lacrosse and men’s baseball teams have to get uniforms more frequently due to outdoor wear and tear. Therefore, the demand of uniforms is essentially correlated with the physical and environmental conditions within each sport. Team coaches have the power to decide when it is best fit for their team to be supplied with new uniforms; however, another contributing factor is the expense of these uniforms and if the team’s budget for the upcoming season allows for such purchases. Athletic Director and Women’s Basketball Head Coach Michelle Ferenz provides insight about the different process of ordering uniforms upon varying sports. 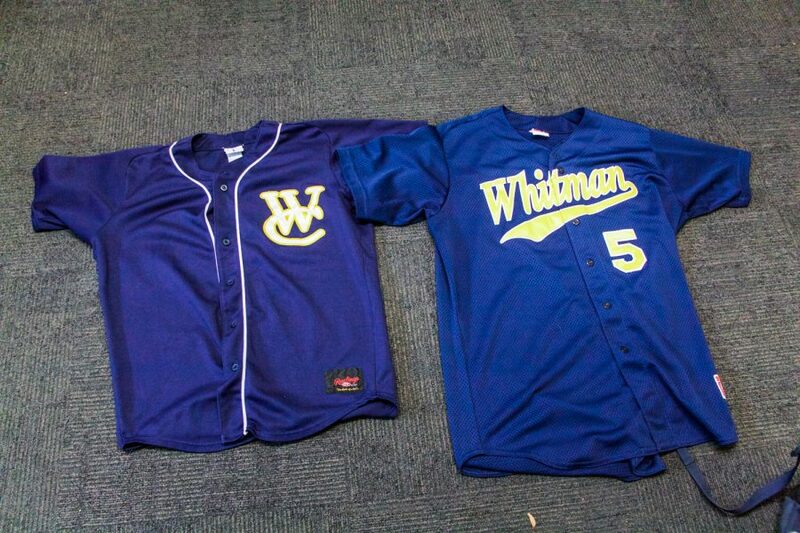 As some may have also noticed, there are no specific solicited brands that Whitman varsity sports must oblige to. However, most recently teams have purchased Nike uniforms. Especially within the past couple of years the majority of varsity teams wear Nike uniforms, but since there are no obligations to a specific solicited brand athletes are allowed to wear other personalized gear such as cleats or running shoes from other brands. Some teams opt to wear the same gear to look like a more unified team, as shown during women’s volleyball team 2017 season when the team got matching white Nike shoes. Also, if a team is sponsored by a brand then that team may also acquire gear from this sponsorship. For example, the men’s tennis team is sponsored by Patagonia and last year got matching baby blue Patagonia jackets. As varsity sports teams’ uniforms vary to the unique specificity of each sport, getting new uniforms is always an exciting matter for athletic teams and is greatly noticed by all of the athletic team supporters.